The temperature has dipped pretty low here in CT the past few weeks. 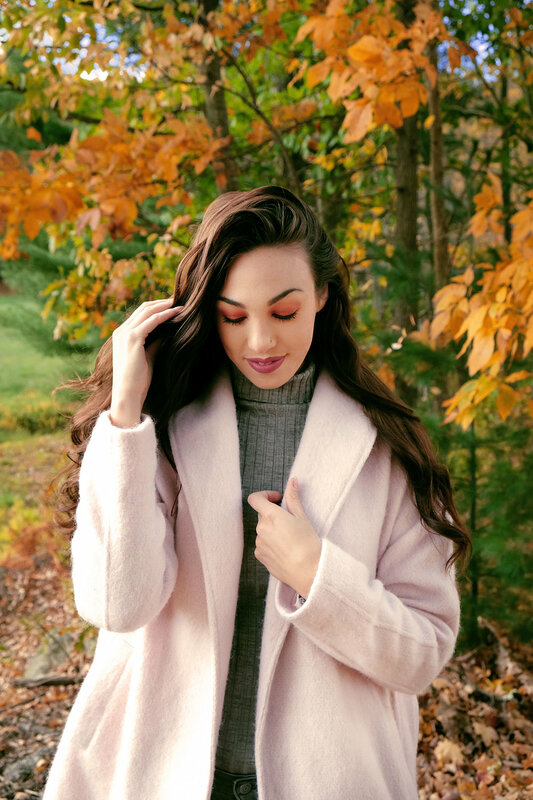 I've started pulling out some warmer, more cozy pieces to layer on like this amazing over-sized pink coat. I decided to take a risk and pair my lace-up block heels with narwhal and unicorn patterned socks! I love how it looks and think it's a great way to warm up those lace-up shoes for colder seasons, while adding a little something extra to your outfit. 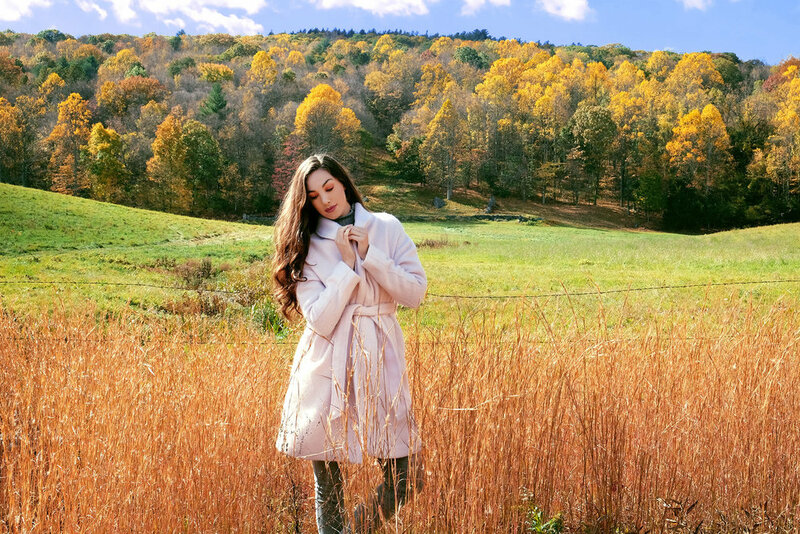 One of my best friends @amberspiotti was visiting last weekend, and she snapped these beautiful photos of my outfit in the fall foliage! Make sure to check out her lovely Instagram. Outfit details below! Coat: Similar here, here, here, and here.